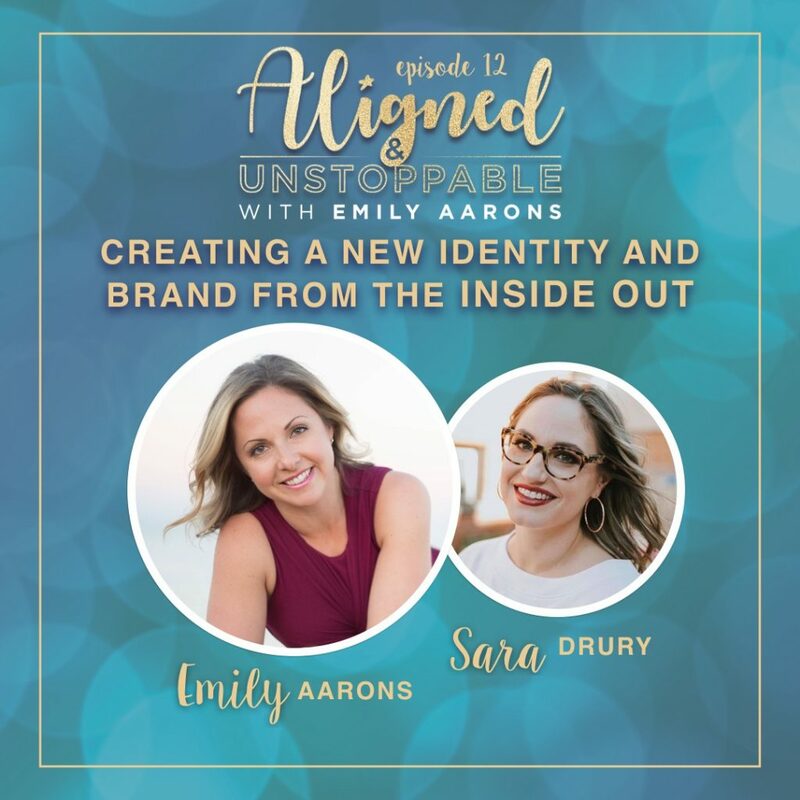 In our 12th episode of the Aligned & Unstoppable podcast, Emily talks with her good friend Sara Drury about her journey away from the beauty industry into her alignment. Helping women with their inner beauty and finding their passion on a very deep level. Podcast host of the Inner Beauty School. which led her to tapping into her intuition in a whole new way. Learn how to quiet those inner limiting thoughts and give yourself permission to become ultra powerful. Emily & Sara met at Business By Design with James Wedmore. They were some of his first clients in this program. Sara was initially a makeup artist and then expanded her services to teaching women about makeup and inner beauty via online video. She faced feelings of self-doubt and fear during the season of stepping into her new business/calling. The journey from fear to self-confidence is a continual process that never truly ends. It starts with giving yourself permission and not caring what others will say or what the outcome will be. Her makeup business was successful but she didn’t feel fulfilled anymore. She was doing the right things but her inner wisdom told her she wasn’t in the right spot. Your ego will fight against what you know you need to do. In order to go to your next level, you have to become a different person; which means that there’s a part of you that must die. When you first start this journey it may be painful. You may face resistance or resentment from family and friends as you actively try not to be the same person you were when y’all first met.